The Spencer County Regional Chamber of Commerce is dedicated to see your business succeed by connecting you to resources and services. Monthly breakfast meetings, quarterly after-hours events and an annual dinner. Learn from experts on the best tips and tools to help propel your business. Get the word out about your business, events, and promotions through unique advertising opportunities. Be assured to be on the top of the list for referrals and info requests. 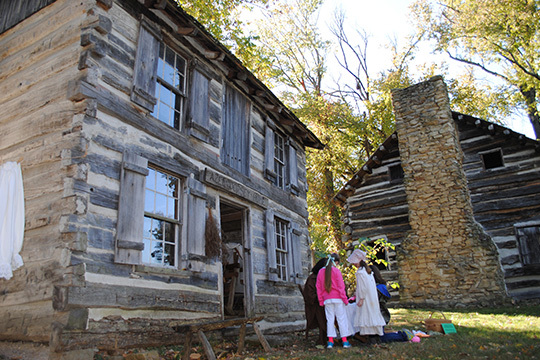 Home to the bordering beautiful Ohio River, history of Abraham Lincoln’s Indiana boyhood home, and unique cultural attractions, such as Holiday World & Splashin’ Safari, are among many reasons that make Spencer County, Indiana a great place to live, work, and play. Spencer County, Indiana, also offers many important services provided by local government, businesses, and public agencies. Our community’s deepest beauty is reflected in its people. We remain a warm and welcoming community, one in which neighbors genuinely care for each other.